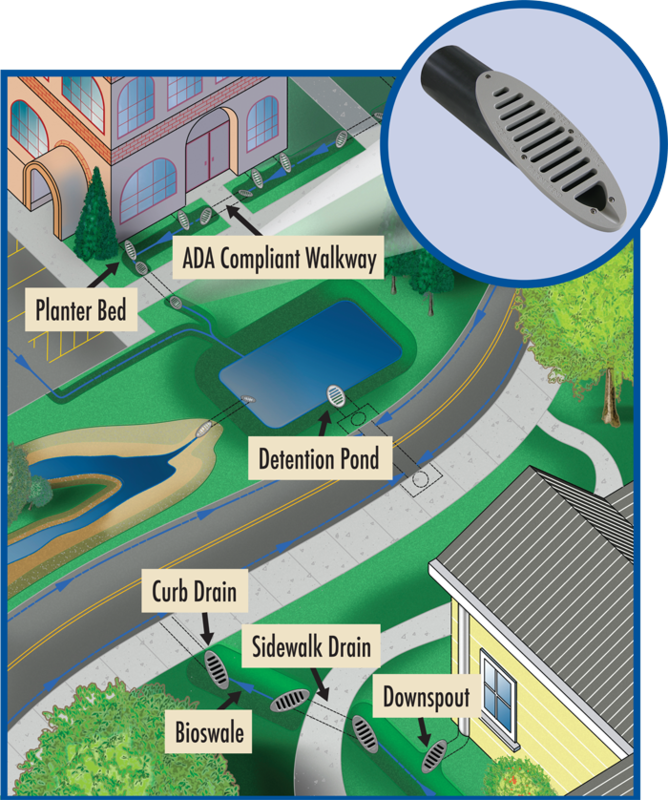 Mitered Drain, Inc.| an innovative, cost effective alternative to conventional drop inlets and catch basins. 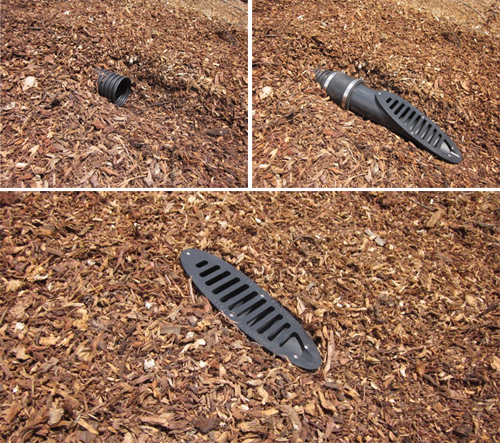 Developed by a civil engineer for a more versatile, environmentally friendly solution for drainage in residential and commercial applications. Do you need Mitered Drain? Installs in 3 Easy Steps with Just a Coupling.